Have you ever pondered upon the profound meaning of Surah Al-Kaafirun  in the Quran? “Say: O ye that reject faith! Al-Kaafirun is a short Meccan chapter in the Qur’an which deals mainly about the rejecters of faith [the kaafir]. The intensity of its repetitive words [to worship] has a powerful impact on the human brain. It is said that the infidels of Mecca proposed the Messenger of Allah [pbuh] to worship their gods for a year, and then they would worship Allah the next year along with him. As a response to their absurd proposal, this Surah was revealed, containing an order to the noble prophet to declare his rejection of all that which they worship and to dissociate with them in all matters of faith. The surah starts with a firm command: ‘Qul’: tell them, O Muhammad. The tone is harsh and shows Allah’s disgust about the illogical proposal of the ignorant Makkans. Indeed, they had taken their passions for their gods and could not think as normal human beings. This is surely the state of Kufr. May Allah protect us against this forever, insha Allah. It is narrated by Muslim that the Messenger of Allah [pbuh] used to recite this Surah with Surah al-Ikhlaas in two rak`ahs following tawaaf of the Ka`bah; it is also narrated by Muslim that he used to recite them in the two rak`ahs of fajr prayer; and Imam Ahmad narrates that the Messenger of Allah used to recite them in the two rak`ahs before fajr prayer and in the two rak`ahs of maghrib prayer. “Teach me something which I may recite at the time I go to bed”. The Holy prophet replied: “Recite Qul ya-ayyuhal kafirun to the end and then sleep, for this is immunity from polytheism” Musnad Ahmad. According to Ibn Abbas, the Prophet said to the people: “Should I tell you the word which will protect you from polytheism? 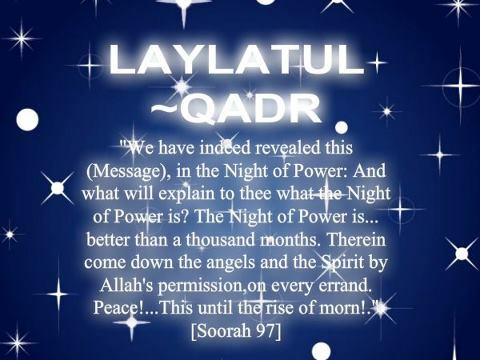 It is that you should recite Qul ya-ayyuhal kafirun when you go to bed. ” (Abu Ya`la, Tabarani). This Surah frees the mind from shirk which is the greatest among sins. Anyone who dies with an atom of shirk, or even smaller, will be thrown in the hellfire. And we should all be aware of the impact of shirk in our day to day life. By constantly reading it and pondering upon its words, it purifies the soul and cleanses it from any misconception in terms of worship. Moreover, it is an order to purify our faith and the Words include all those who disbelieve in the world although those specifically addressed here, are the pagans of Quraish. Indeed, the Words of Allah contain the key to paradise and anyone who reads it with the hope of obtaining salvation will obtain Allah’s mercy. This surah contains injunctions against polytheism; it is a cure against passion, greed, obstination and vested interest. Those infidels could not understand the beautiful message of Tauhid because their hearts, eyes and ears were blurred by the ornament of this world. Many among them could not renounce to their gods and goddesses because they were trading in idols and this transaction made them earn lots of money. Besides, they could not reject their forefathers’ customs as the latter’s teaching was ingrained within their cultures and traditions. In order to stop him from propagating the message of monotheism, they offered him several options: beautiful women, high status, prestige and money but he remained firm on the path of truth. This implies that the polytheists are misguided and that Muhammad should not accept their ways because to follow them means to accept kufr [disbelief] and kufr is ignorance and all forms of ignorance is darkness and darkness is the opposite of light. Allah, the sole creator of the universe has sent a prescribed form of worship for the whole humanity through the noble prophet Muhammad. It is for this reason that the testimony of the Muslim is Laa ilaha ill Allah, Muhammadur-Rasulullah – None is worthy of worship except Allah and Muhammad is the Messenger of Allah. And there is no way to worship Him except that which was brought by the Messenger of Allah, peace be upon him. Now, it is clear that this message does not only address the people in the time of Muhammad [pbuh]. Rather, this is a message for mankind until doomsday. The kaafir is in a state of confusion and darkness. Their status is that of Najaassun, not because we want to despise them. No!!! Not at all!!! This fact is stated in chapter 9 verse 28 of the Quran itself. The verses are full of tension. The readers can feel Allah’s anger upon the non believers who have rejected truth and have adopted falsehood. This is a firm warning against their treachery. Since then, no believer is allowed to believe or accept their creed. Islam stands as the only way of life which teaches monotheism and condemns all association whatsoever with the Almighty Allah. And the surah beautifully sums up the separation that exists between a true believer blessed with light and the rejecter of faith, condemned to suffer for his treachery and to agonise forever in hellfire. Now you muslims and muslimahs, will you after this, continue to eat what kaafir eat, attend their ceremonies and do iftar in their company? Will you give evidence against yourself on the day of Qiyamah, when you will stand alone for your judgement?